N 32° 17' 41" and W -64° 46' 58"
Hamilton in Hamilton City with it's 902 habitants is a city located in Bermuda. It's the capital of this country. Current time in Hamilton is now 04:25 PM (Monday). The local timezone is named Atlantic / Bermuda with an UTC offset of -3 hours. We know of 1 airports closer to Hamilton. The closest airport in Bermuda is L.F. Wade International International Airport in a distance of 8 mi (or 12 km), North-East. Besides the airports, there are other travel options available (check left side). There is one Unesco world heritage site nearby. The closest heritage site is Historic Town of St George and Related Fortifications, Bermuda in United kingdom at a distance of 85 mi (or 138 km). We saw 1 points of interest near this location. In need of a room? We compiled a list of available hotels close to the map centre further down the page. Hamilton, Bermuda At Its Best! 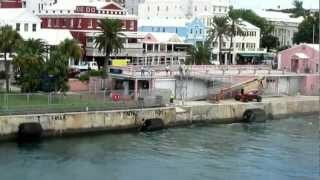 Bermuda Ferry Ride, Hamilton to Dockyard. Took a ferry ride up to dockyard, hadn't been on any of the new fast ferries. Too short a ride for them to really go full speed. Shot holding gopro out the passenger window of our taxi heading from Hamilton back to Southampton. Located at 32.3, -64.7833 (Lat. / Lng. ), about 0 miles away. Located at 32.2833, -64.7833 (Lat. / Lng. ), about 1 miles away. Located at 32.293, -64.7698 (Lat. / Lng. ), about 1 miles away. Located at 32.3, -64.7667 (Lat. / Lng. ), about 1 miles away. 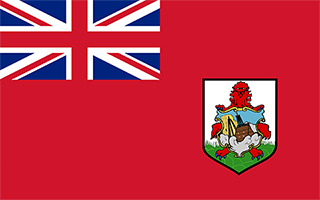 Paget Parish is one of the nine parishes of Bermuda. It is named for William Paget, 4th Baron Paget de Beaudesert (1572–1629). The parish is located in the central south of the island chain, immediately south of Hamilton Harbor on the main island. It is joined to Warwick Parish in the southwest, and Devonshire Parish in the northeast. As with most of Bermuda's parishes, it covers just over 2.3 square miles (about 6.0 km² or 1500 acres). Located at 32.2864, -64.77 (Lat. / Lng. ), about 1 miles away. Pembroke Parish is one of the nine parishes of Bermuda. It is named after English aristocrat William Herbert, 3rd Earl of Pembroke (1580-1630). It occupies most of the short peninsula which juts from the central north coast of Bermuda's main island, and surrounds the city of Hamilton on three sides (the fourth being taken up by the shore of Hamilton Harbour). As such, its shape bears some passing resemblance to the county of Pembrokeshire in Wales. Located at 32.2972, -64.7806 (Lat. / Lng. ), about 0 miles away. Hamilton Harbour is a natural harbour in Bermuda which serves as the port for the capital, the City of Hamilton. It is an arm of the Great Sound, and forms a tapering wedge shape of water between Paget Parish and the peninsula which forms Pembroke Parish, and upon which the capital sits. The approaches to the harbour are protected by a chain of islands, and by the small Salt Kettle Peninsula. Another island sits inside the Harbour itself, White's Island. Located at 32.289, -64.784 (Lat. / Lng. ), about 0 miles away. The Salt Kettle is a small peninsula in Paget Parish, Bermuda which stands at the southern approach to Hamilton Harbor. One of the termini of the ferries that ply the harbor, this scenic peninsula was the subject of several important paintings by American artist Winslow Homer. Located at 32.2834, -64.7927 (Lat. / Lng. ), about 1 miles away. 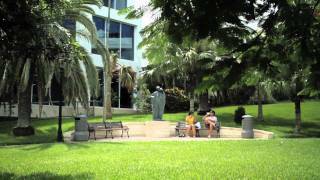 Victoria Park is centrally located in the city of Hamilton, Bermuda (Hamilton is also the capital of Bermuda). It is a public park that is opened daily to the public during daylight hours. It is widely used as an entertainment venue for free concerts and the like. There is also a rather attractive bandstand in the middle of the park installed in 1889 in commemoration of Queen Victoria's Golden Jubilee, and renewed in 2008. Located at 32.2955, -64.7846 (Lat. / Lng. ), about 0 miles away. Located at 32.3006, -64.7697 (Lat. / Lng. ), about 1 miles away. Bermuda College is a community college in Paget Parish, Bermuda. The only post-secondary educational institution in Bermuda, Bermuda College offers a variety of academic, technical and professional courses in the Divisions of Applied Science & Technology, Business Administration & Hospitality, Liberal Arts, and the Centre for Professional and Career Education. Located at 32.2778, -64.775 (Lat. / Lng. ), about 1 miles away. The Bermuda High School is an all-girls private school in Pembroke, Bermuda. It was founded in 1894. It is an all-girls school from Year One to Year Eleven, and co-educational for the two-year IB Diploma Programme. Located at 32.2955, -64.7898 (Lat. / Lng. ), about 0 miles away. Warwick Academy is the oldest school in Bermuda and one of the oldest in the Western Hemisphere, established in 1662. It was named after the English colonial administrator Robert Rich, 2nd Earl of Warwick, who gave the original land. Located at 32.2765, -64.794 (Lat. / Lng. ), about 1 miles away. The Cathedral of the Most Holy Trinity (often referred to as the Bermuda Cathedral) is an Anglican cathedral located on Church Street in Hamilton, Bermuda. The original building was designed in the Early English style by James Cranston of Oxford in 1844 and was completed in 1869. That building was destroyed by fire in 1884. Located at 32.2944, -64.783 (Lat. / Lng. ), about 0 miles away. Burnt Island is an island of Bermuda. Located at 32.2833, -64.8 (Lat. / Lng. ), about 1 miles away. 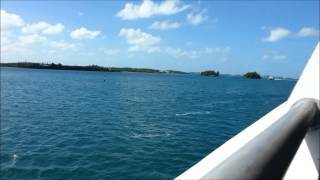 Doctor's Island is an island of Bermuda. Hamilton Island is an island of Bermuda. 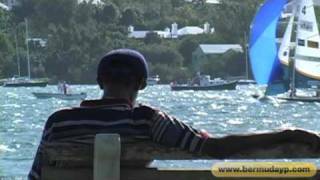 Saltus Island is an island of Bermuda. Spectacle Island, Warwick is an island of Bermuda. Located at 32.2875, -64.8007 (Lat. / Lng. ), about 1 miles away. 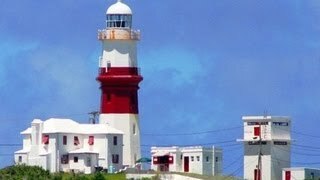 Watling Island is an island of Bermuda. White Island, Paget is an island of Bermuda. 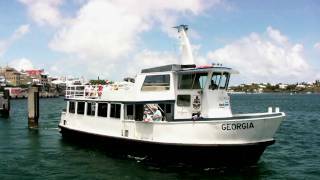 White's Island is an island located in Hamilton Harbour in Hamilton, Bermuda, the only island directly adjoined on all sides by the harbour. Located at 32.2881, -64.7847 (Lat. / Lng. ), about 0 miles away. 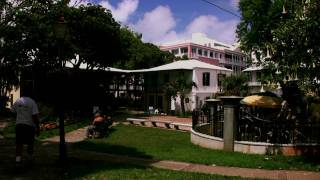 The Bermuda National Library is the national library in Bermuda and it is located in Hamilton. Located at 32.2929, -64.7865 (Lat. / Lng. ), about 0 miles away. Tokio Millennium Re Ltd. (abbreviated as TMR) is a reinsurance company headquartered in Hamilton, Bermuda with branches in Zurich, Switzerland and Sydney, Australia. The lines of business written include property catastrophe, workers compensation and terrorism. TMR was established in Bermuda in 2000 as a subsidiary of Tokio Marine & Nichido Fire Insurance Co. , Ltd. and is licensed as a class 3B insurance company in Bermuda. Located at 32.2901, -64.7903 (Lat. / Lng. ), about 1 miles away. These are the most popular locations in Bermuda on Tripmondo.